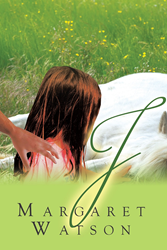 “J” from Christian Faith Publishing author Margaret Watson is a unique book on a young woman who loves books and horses and God’s prophet who sends the Lord’s message of love and judgment to the people, showing their respective perspectives and personal life experiences. “J”: an awe-inspiring book on how a university student named Jadine has come across the life of a prophet named Jeremiah. “J” is the creation of published author, Margaret Watson, a pastor’s wife, an avid horse and book lover, and a student of the Scriptures. Watson shares, “Jeremiah had worshipped the Lord Jehovah all his life. He understood that God was other than human, that God was awesome and untouchable. He knew that to touch God was to die. And he knew God had just touched his mouth. But he did not die. He suddenly had a terrifying sense of being possessed by something that had the right to possess him. Jeremiah looked down the hill toward the valley he had to cross to get to Jerusalem. The sun was beginning to drop toward the buildings on Mount Moriah. The time had been slipping by. Jeremiah felt like he had been spun around too fast and had stopped someplace he had never been. It had all happened too quickly. He needed time to think, time to sort it out. He needed to go through his mind, he began to walk back toward the road. When he got there, he found that he could not move his feet in the direction of home. Published by Christian Faith Publishing, Margaret Watson’s new book is a work of fiction on obedience—it talks about following God with all of one’s heart, even if it entails making major sacrifices, like giving up a significant other and living a comfortable life. The creatively woven story written by Watson combines a more current main character and a biblical character’s narratives into one to focus on the theme of staying faithful to the Lord even if it means being subjected to disappointing people and frustrating times. View a synopsis of “J” on YouTube. Consumers can purchase “J” at traditional brick & mortar bookstores, or online at Amazon.com, Apple iTunes store, Kobo or Barnes and Noble. For additional information or inquiries about “J”, contact the Christian Faith Publishing media department at 866-554-0919.